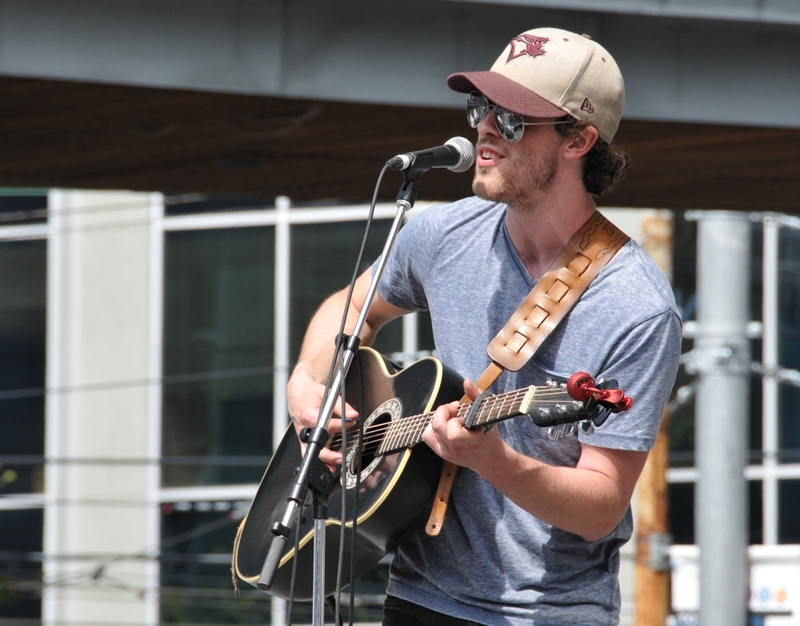 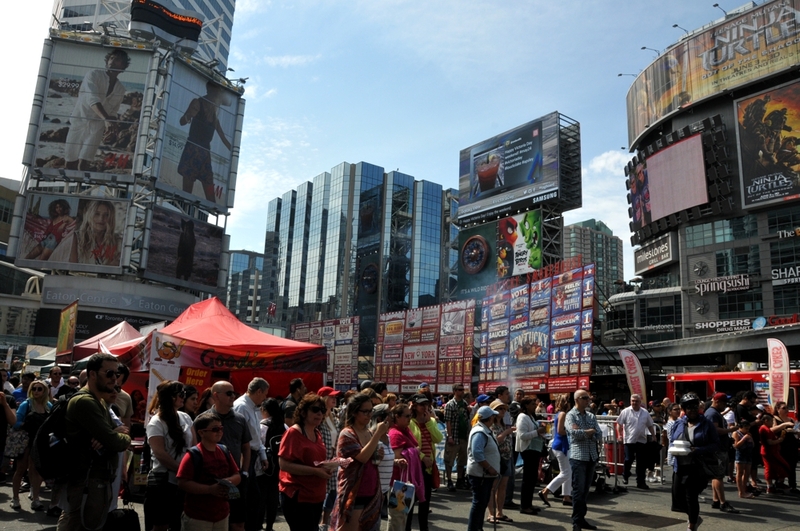 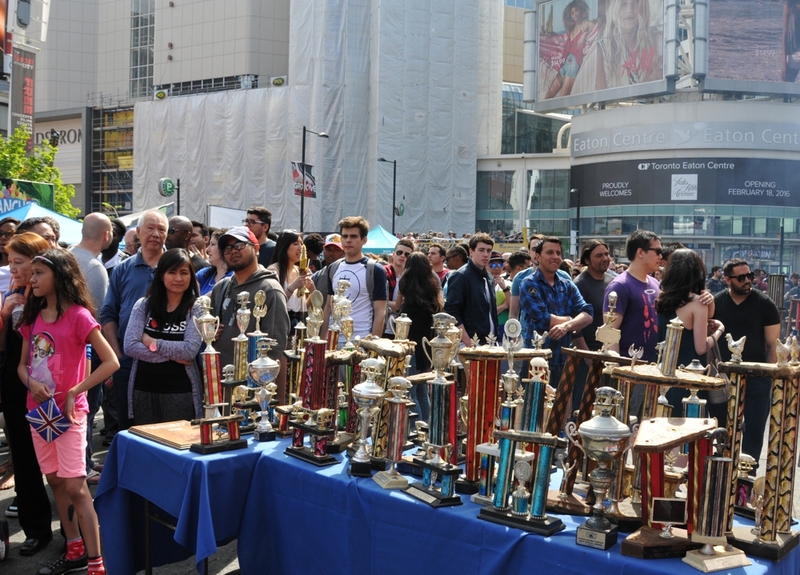 There wasn't enough smoke in the Big Smoke, so Yonge-Dundas Square hosted a barbecue party during the Victoria Day weekend. The best rib teams in Canada bring big signs and a lot of trophies and I am pretty sure some of them were bowling trophies and road signs. 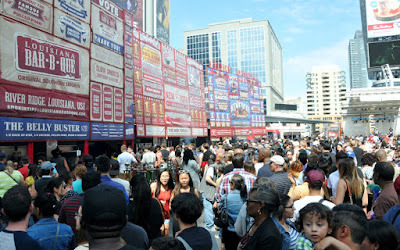 They say that May is BBQ month, but here in Canada we never stop barbecuing, get the q-juice out in winter and cook that meat product year round, summer, winter and the in-between times as well. 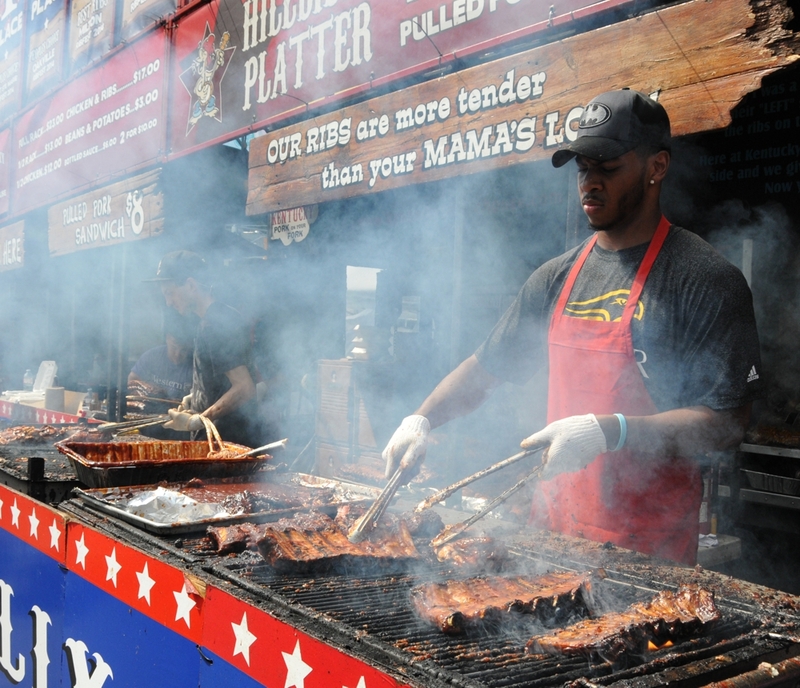 The briquettes are putting out the heat until 10pm on Saturday, May 21. 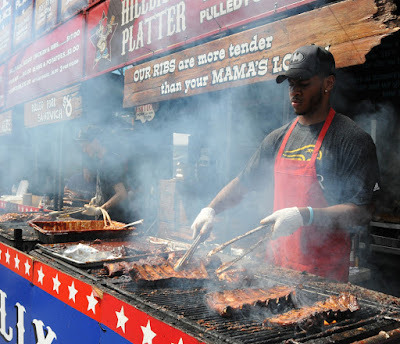 Slabs of meat and bone will be cooked by Kentucky Smokehouse, Fire Island, Louisiana BBQ and New York BBQ while bands play and the beer flows in the non-tent beer area. People seemed to love it because the lineups were gigantic in the square.